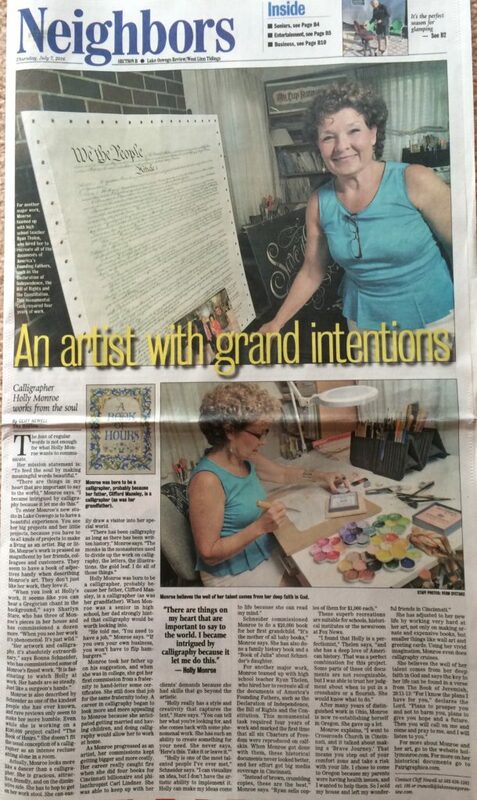 This entry was posted in Calligraphers, Press, Showcase and tagged Calligrapher, calligraphy, Custom Books, Founding Documents of the USA, Hand-lettering, July 2017, Lake Oswego Review, Oregon, Patrigraphica.com. Bookmark the permalink. Congratulations Holly! Your work is truly magnificent!